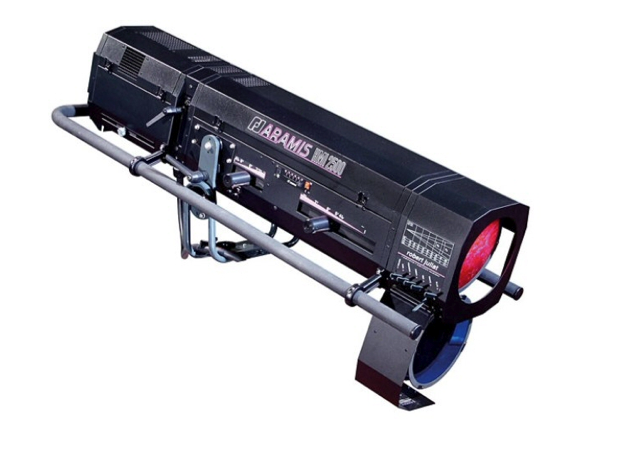 The Robert Juliat Aramis is a powerful 2500W HMI follow spot with a 4,57° – 8° beam angle and a surprisingly high light output, making it ideal for long throw venues and theatrical applications. Equipped with high quality optics and covered in a robust housing, the Robert Juliat Aramis is durably constructed and built for prolonged use in fixed and “road” situations were long throws have to be made. Special hanging points at the rear of the unit.